t would seem that if you could win 70% of the trades you make you'd be a profitable trader, but that just isn't the case. Traders also need to assess the quality of their wins and losses. Striking a balance between win-rate and risk-reward rations is crucial to success. Your win rate is how many trades you win out of all your trades. For example, if you make five trades a day, and win three, your daily win rate is 3/5=0.6, or 60%. If there are 20 trading days in the month, and you won 60 out of 100 trades, your monthly win rate is 60%. The win-loss ratio is your wins divided by your losses. In the example, assume for simplicity 60 trades were winners and 40 were losers (100 - 60). This assumes there were no "flat" trades. The win-loss ratio is 60/40=1.5. This means you are winning 50% of the time more than you are losing. A win-loss ratio above 1.0, or a win rate above 50%, is favorable, but it isn't the only story. A risk-reward ratio is how much you expect to make on a trade, relative to how much you're willing to lose. Day traders want to be in and out of the market quickly, taking advantage of short-term patterns and trade signals. This typically means each trade will have a stop loss attached to it. The stop-loss determines how many cents, ticks or pips you are willing to risk in a stock, future or forex pair respectively. Assume you are willing to risk $0.10 on stock XZYZ, buying it at $10.00 and placing a stop loss at $9.90. Your risk is fixed at $0.10 (assuming no slippage), but you must be compensated for taking this risk with a potential profit as well. Your profit target establishes your expected payoff. Assume, based on your analysis or trading strategy that you believe the price will reach $10.20, at which point you will take profit, resulting in a $0.20 gain. Your potential reward is therefore twice as large as your potential risk. Your risk/reward ratio is $0.10/$0.20=0.5; in other words, your risk is half of your potential gain. If you take a profit at $10.10, your potential profit and risk are both $0.10, so the risk/reward ratio is $0.10/$0.10=1.0. If you take profit at $10.05 your potential risk is $0.10 but your reward is only $0.05. In this case, the risk/reward increases to 2.0 showing that you are risking more to make less. Day traders must strike a balance between win rate and risk-reward. A high win rate means nothing if the risk-reward is very high, and great risk-reward ratio may mean nothing if the win rate is very low. A higher win rate means your risk-reward can be higher. You can still be profitable with a 60% win rate and a risk reward of 1.0. You'll be more profitable with a 60% rate and a risk-reward below 1.0. A low win rate, 50% or below, requires winners to be larger than losers in order for you to be profitable. You can still be profitable with a 40% win rate if risk/reward is below 0.6 (excluding commissions). Ideally, if your win rate is below 50% strive for a risk/reward below 0.65, with the risk-reward decreasing the more the win rate drops. The more you lose, the bigger your winners must be when you do win. 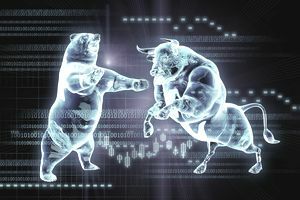 Since day traders trade every day in all types of conditions, most day traders should seek out a strategy that allows them to win between 50% and 70% of the time. Winning more than that becomes increasingly difficult with only minor additional payoff. This win rate allows for some flexibility in the risk-reward ratio. Strive to make a bit more on winners than you do on losers; ideally, wins should be about 1.5 times greater than risk - if risking $0.10 try to make at least $0.15. This risk/reward ratio is 0.67. Keep the risk/reward below 1.0, that way even if you have an off day, only winning 40% of your trades, you can likely still pull out a daily profit. Your ideal mix will depend on your trading style. But you don't need a very high win rate or a super low risk/reward ratio to be successful. Strike a balance, and strive for consistency.